When is a racing game not a racing game? 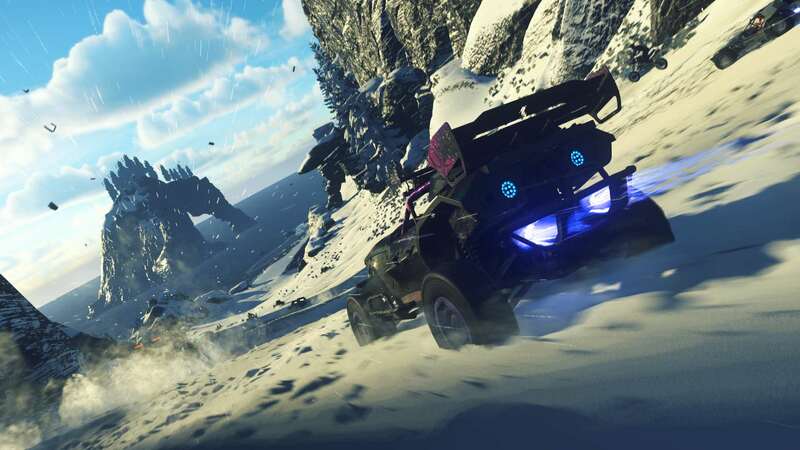 Onrush bills itself as a racer; it's filled with two- and four-wheeled vehicles driving fast, and it's even developed by Codemasters — a racing game outfit — and by several members of the former Evolution Studios, the guys that developed Driveclub, World Rally Championship, and Motorstorm. There's no denying it looks like a racing game. However, it has more in common with a class-based multiplayer shooter like Team Fortress, with cars not divided by model but by archetype, and all of them getting a series of abilities in addition to their primary ability to drive. This could be the power to blind everyone behind you, or you might give nearby allies boost. Perhaps it'll be a more aggressive ability like an ultimate that lets you spray gouts of flame back, destroying everyone behind you — they'll respawn, but you'll have gained an advantage. There are no finish lines in sight and no chequered flag to end the carnage. Onrush is a team-based multiplayer game where you have to work together to win, either by earning score or hitting gates to stop your team from timing out. 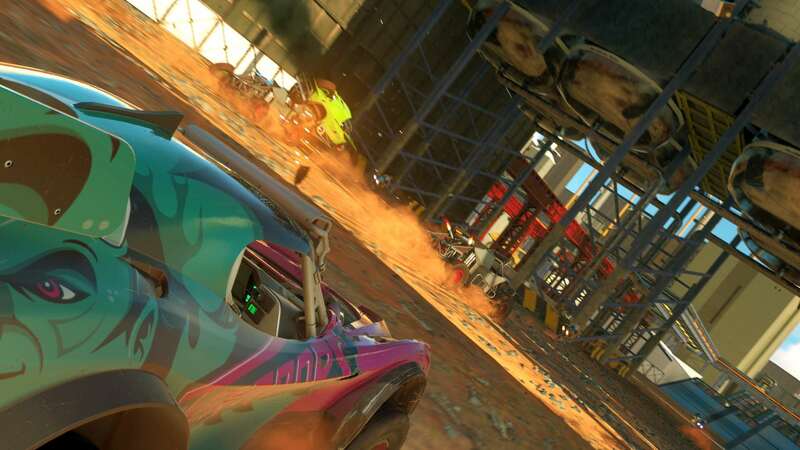 It's riotous fun in single-player but also shines in multiplayer, an area where racing games can often feel completely inaccessible, with novice or even intermediate racers often trailing the pack, unable to do much more than observe the race ahead. Here, the strength of the pack is the pack, and having five friendly racers with you ensures you're always in the thick of the action. If that sounds wild, it's probably because it's the biggest reinvention of the racing game this generation, and one of the most interesting driving games since Smugglers Run or Stuntman. Everything in Onrush is bold. The dancing teenaged characters and the dubstep doesn't do a lot for me, but it's refreshing to see a driving game with such a bold aesthetic vision. Puddles of oil glint and shimmer; explosions catapult bits of car into luscious palm trees. The thrill of the drive here is substantial, and cruising around in the herd is a lot of fun, with 12 people constantly trying to fake out or destroy their rivals meaning that things always feel dynamic. By sticking to a fairly realistic driving model, even when things are exploding all around the player and cars are making barrel rolls and daring escapes every few seconds, the game still feels grounded. It would have been easy to just drop in some vehicle-mounted weapons and make this a full combat racer, but by hewing close to more realistic racers despite the fantastical setting, the team at Codemasters has created a truly unique driver. There are lots of customisation options available for both the cars and characters, although most of these are locked behind loot boxes. You get a loot box every race or two, and I didn't drop any money on the title, but it's annoying to feel like the ability to drive a good looking car is tied behind choice. Typically I've always been quite relaxed about cosmetic customisation, as live games need to be supported somehow, but it's a little gutting to not have free reign to pimp my ride, often a simple joy in most car games. The tracks in the game are visually impressive, but they all have a vaguely scummy industrial feel, levels often taking place in mountains or steep hills, deserts, and forests littered with pipework and trashed aeroplanes. As I said earlier, aesthetically the game works for me, but the tracks themselves unfortunately don't feel recognisable. In all of the sound and fury, they pass unnoticed as the race continues. 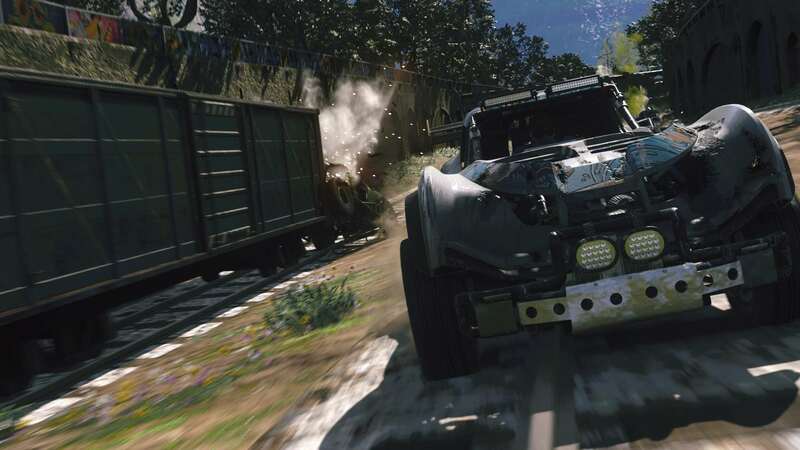 Onrush is a bold new title for Codemasters and one that I hope makes the leap to franchise. The game here at its core reminds me of all-time arcade racing greats like Burnout or Need for Speed, and as both of those franchises are now being left by the wayside, the time is right for a new arcade racer that knows fun is – for many players – the most important aspect of a game. Sim racing is sewn up, but it's not hard to see a world where Onrush could become the arcade racer of choice for those who want a blast for 30 minutes but don't want to commit to anything serious. 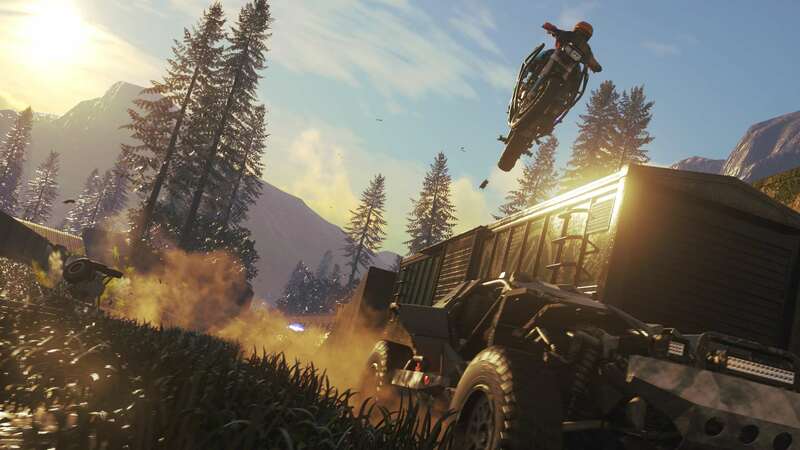 If Forza, for example, is the equivalent of a perfectly balanced Ferrari Enzo supercar that handles itself with precision and grace, Onrush is a Formula One engine strapped to a pushbike: it goes faster than you can imagine and feels impossibly silly, but it's also totally unique. Playing Onrush is, at its best, like being in the eye of a chaotic storm. It's worth riding the whirlwind.